"O That will be glory"
for the Lord is a God of Judgment; blessed are all they that wait for him. Just to be near the dear Lord I adore, Will thro' the ages be glory for me. 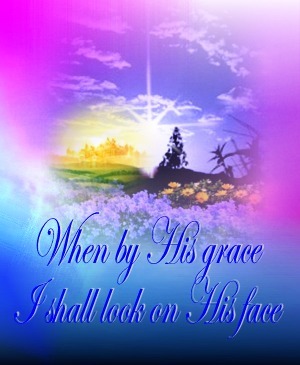 When by His grace I shall look on His face, That will be glory, be glory for me. Just to be there and to look on His face, Will thro' the ages be glory for me. Yet, just a smile from my Savior, I know, Will thro' the ages be glory for me.